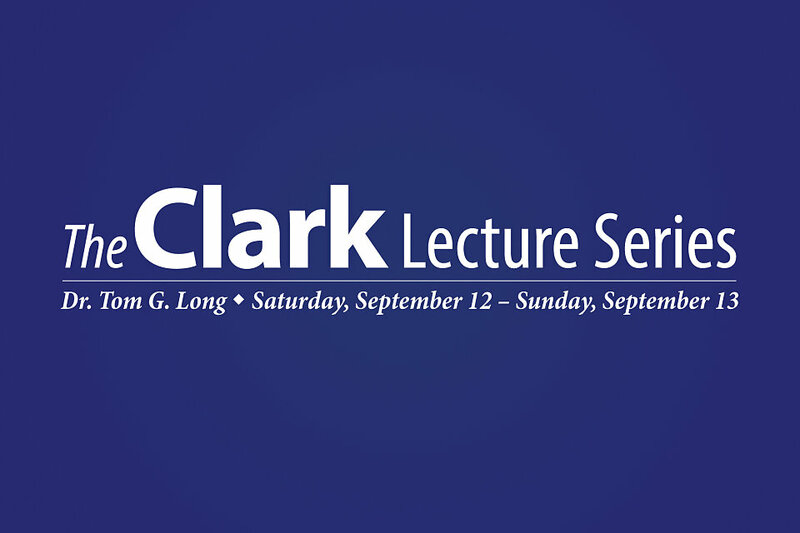 This September 12 and 13, West End UMC welcomes Dr. Tom Long for The Clark Lecture Series. Dr. Long will join us on Saturday for a workshop from 10 a.m. to Noon in the 4th Story Theater on Puzzles, Enigmas, and Paradoxes: The Strange and Wonderful Parables of Jesus. He will also be preaching in both services on Sunday morning. Register online for the Saturday workshop at westendumc.org/clarklecture. Dr. Long is Bandy Professor of Preaching at Candler School of Theology, Emory University. Dr. Long’s research interests are contemporary homiletical theory, biblical hermeneutics and preaching. His most recent book, What Shall We Say? Evil, Suffering, and the Crisis of Faith, explores questions of God and human suffering, and was named “2011 Book of the Year” by the Academy of Parish Clergy. Long’s 1989 book The Witness of Preaching—now in its second edition—is one of the most widely used texts on preaching, appearing on class reading lists in seminaries across the country and world. In 2010, Preaching magazine named The Witness of Preaching one of the 25 most influential books in preaching for the last 25 years. Long’s Preaching from Memory to Hope was named as one of the “top ten books for parish ministry published in 2009” by the Academy of Parish Clergy. The author of 21 books to date, Long is a frequent contributor to The Christian Century and the Journal for Preachers, and a popular presenter at preaching conferences worldwide. He is an ordained minister in the Presbyterian Church (USA). Dr. Long is a graduate of Erskine College (BA) and Erskine Theological Seminary (MDiv). He earned the PhD from Princeton Theological Seminary. More about Saturday’s workshop: Puzzles, Enigmas, and Paradoxes: The Strange and Wonderful Parables of Jesus. Jesus’ favorite method of teaching was with parables. These stories seem so simple and beautiful, and yet each of them is profound and packs a remarkable punch. In this session, we will explore what a parable is and how parables work to create their impact. We will see how the Gospel writers Matthew, Mark, and Luke incorporated Jesus’ parables into their Gospels in their own ways. And most of all, we will seek to discover the challenges and promises in Jesus’ parables for our own lives of faith. Sunday’s Sermon Topic and Text: “The Open Window” based on Luke 16:19-31 (the Parable of the Rich Man and Lazarus). To register for Saturday's workshop, please give us your name and email address. Thanks!